I can't wait to give y'all a full recap of our gender reveal party once we get the photos back. Because I knew we had the amazing Zac & Kaitlin around, I snapped very few photos on my phone. This is about the only one. Let me tell you.. those bundt cakes went SO FAST! Also in gender reveal news, Ben's dad always thinks the baby is a boy.. but with us he was extra convinced. 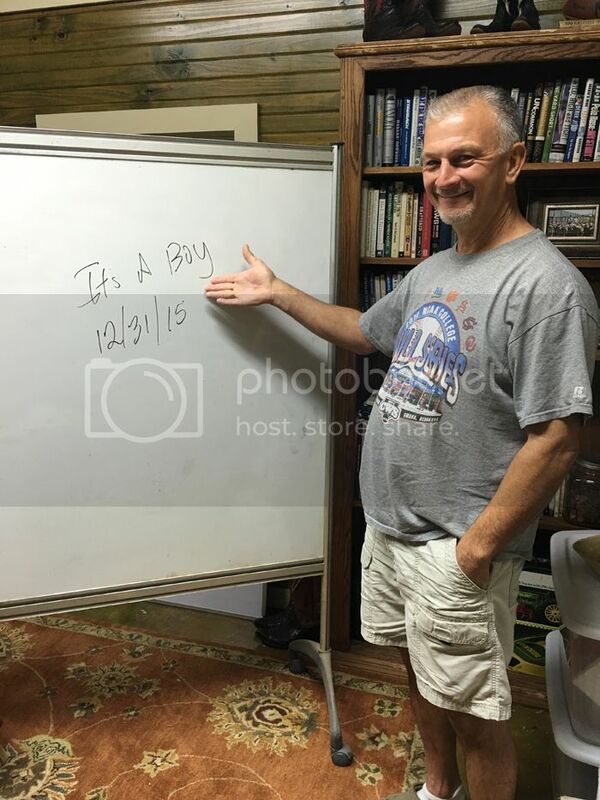 He wrote this on the white board in his office when he got word that we knew the gender for sure.. baby book moment! :) Haha! I've been participating in and LOVING Emily Ley's #simplicitychallenge2016. Every task has been really easy to add into my day and I've been loving it. The first day was just to throw away extra trash in your home. I thought we wouldn't have any.. yet we cleaned out all the drawers and closets and threw away three full bags! Nothing better than the feeling of purging. 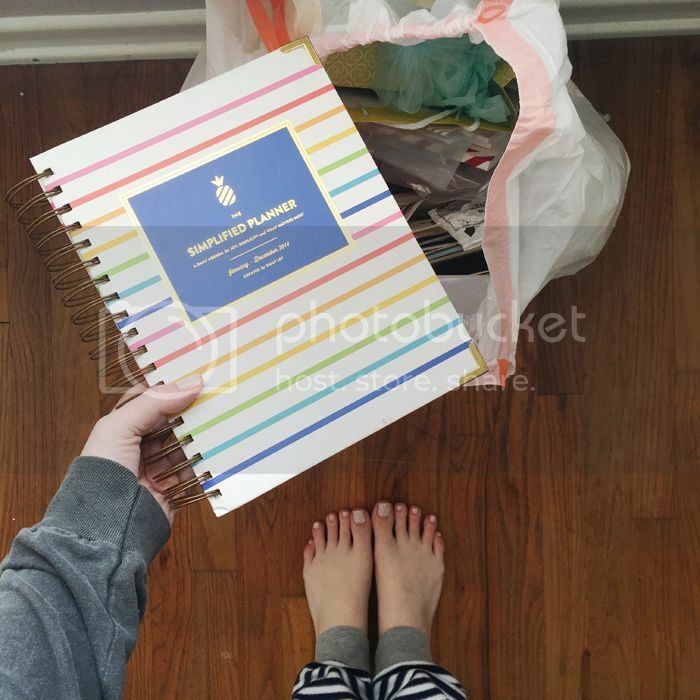 There was a moment of irony as I threw away an Emily Ley product, my beloved 2014 Simplified Planner. But I'm not going to keep it until I'm 80.. so I should chunk it now. I do think it might be sweet to save a planner for each of our kids from their childhood, just to look back on.. but we'll see! On Tuesday morning, too, we had scheduled a Salvation Army pickup. I see another one in our future too. It's just such an easy way to get the junk out! Another huge success in my week was shopping the Lilly Pulitzer After Party sale. Last sale I had major struggles.. I got through checkout with my orders but never got confirmation emails.. and my orders weren't real. Ugh. This time I got confirmation emails right away and I'm thinking about sharing my haul once it comes in. Would anyone be interested in that? For those who aren't super familiar.. pricey Lilly does two online sales a year and they're absolutely crazy. One of the items I got was a dress originally almost $300 and I got it for $60. It's crazy cuts like that. And the thing about Lilly is people collect the prints, eliminating the feel of "last season".. when I see people wearing old Lilly I get jealous for having not purchased something in that print. It's crazy, I know! And Lilly style isn't for everyone. I absolutely go through phases with it.. but I always come back. I love it! 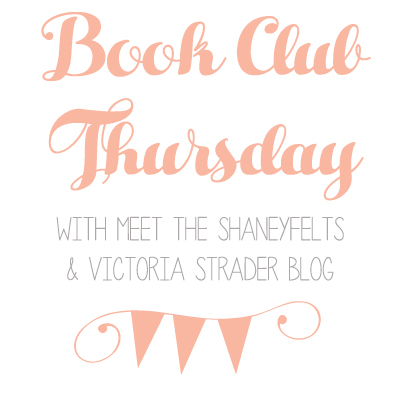 I love purging, too and have done so much of it in 2015 :) and I definitely will be linking up for your book club! ugh i need to get that planner in my life! it looks so fabulous! So glad I came across your blog in the linkup! I can't wait to get to know you and your blogging journey better this year! Hope you'll stop by mine as well! 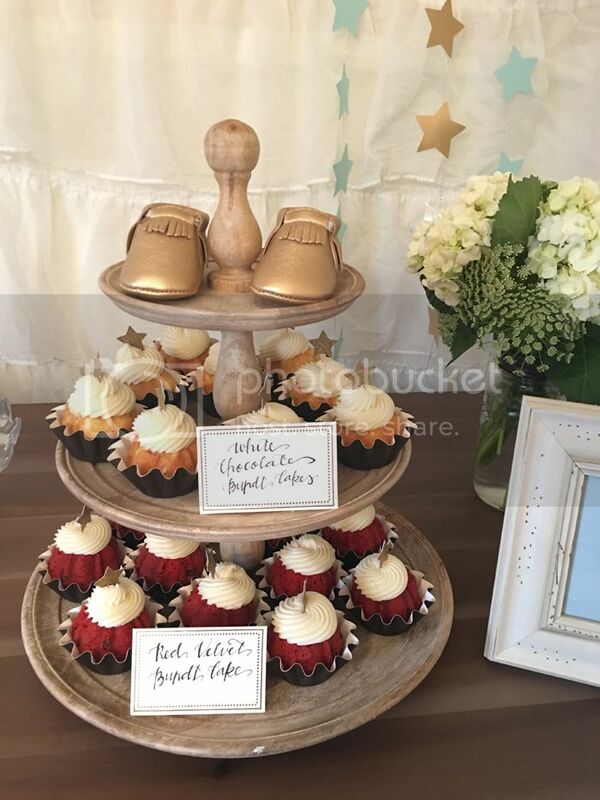 Those bundt cakes are seriously too cute! I have seen the simplicity challenge on instagram...now I really want to try it! I participated in the Lilly sale too! I love my new dresses, inexpensive and timeless!! I am loving that you still had your planner from 2014!!! I used to keep my old planners until I got married and had to move--then I purged LOTS! So what did you do with Christmas cards from 2 years ago? :) Can't wait for our link up! I'd love to see what you got at the Lilly sale! I can't wait to see pictures and hear about the gender party! 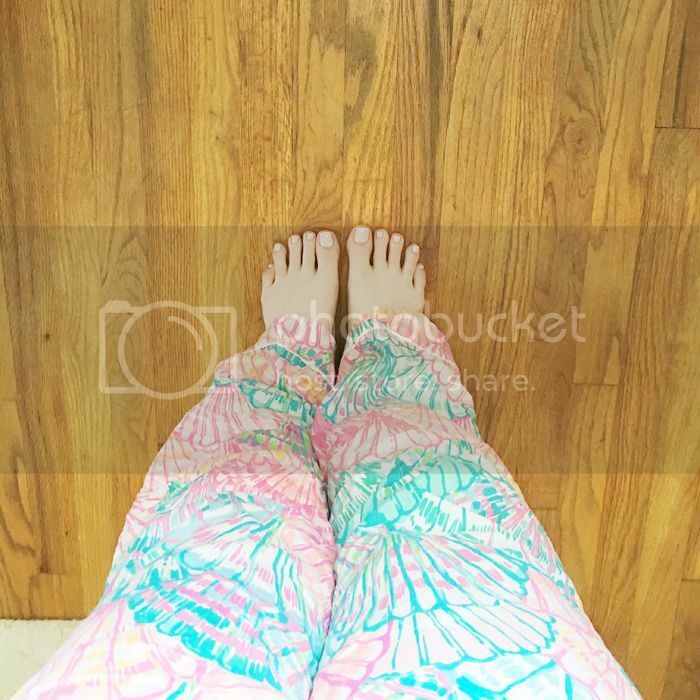 I've never bought anything Lilly, but always thought the prints were really FUN just pricey. Would love to see what you got with the sale!